Timbren was founded in 1965 to advance the ride quality of trucks while towing. 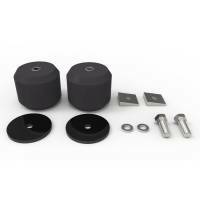 Today they manufacture suspension enhancement systems for towing, rubber helper springs, and full trailer suspensions designed for both on and off road uses. 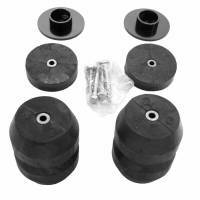 Timbren Industries began in 1965 on the premise that suspensions could and should work better. 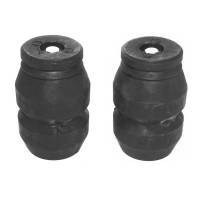 That same year Timbren?s founder acquired the Canadian patent for rubber torsion suspensions. 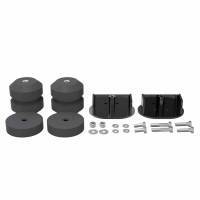 In 1968 Timbren introduced Aeon® rubber springs and began manufacturing SES (Suspension Enhancement System) suspension upgrade kits. Without question, Timbren has demonstrated leadership in the development of rubber spring technology. After many years of continuous experimentation and innovation, the dedicated people at Timbren have gained ? through practical experience ? a thorough understanding of the dynamic characteristics and properties of rubber. Ever since Timbren?s humble beginnings, the company has grown into a team of experts with one focus: To offer the world the best suspension products at a reasonable price. 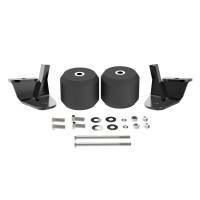 SES Suspension Upgrades provide superior suspension performance under the stress of heavy loads. 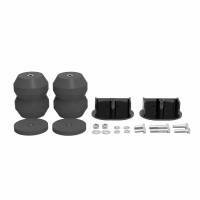 Each one of our patented Aeon® rubber springs is engineered to absorb road shock providing comfort and stability. 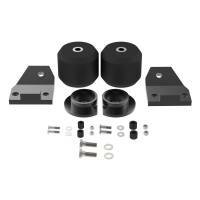 Our SES Suspension Upgrades have unique features to benefit your truck, van or SUV. Timbren designs and manufactures all the steel brackets and powder coats them in house. All of our steel brackets are laser-cut before they?re painted with a durable, long-lasting powder coat finish to ensure protection and long life. Fixing your suspension problems doesn?t get any easier? to save time and money! Installation of a Timbren SES upgrade takes less than an hour. The installed price of a Timbren SES upgrade is about 1/2 the cost of the average air-ride system. 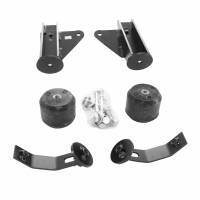 Avoid the disappointment when your rear suspension drops severely when you first hook up your new trailer. 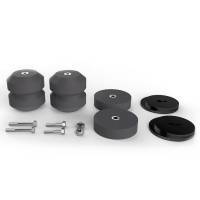 Timbren SES upgrades will level out your tow vehicle and stabilize the load. Don?t let the front end squat when the plow is mounted. 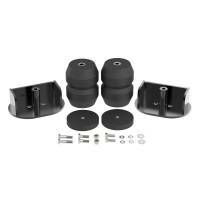 Protect your suspension and improve performance with Timbren SES upgrades. 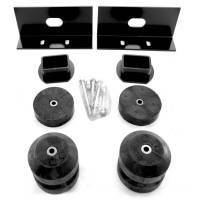 The constant load of heavy equipment puts a major stress on your truck?s suspension. 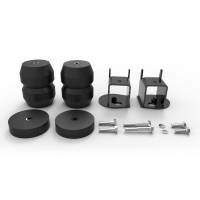 Protect your suspension with Timbren SES upgrades. The heavy body mass of the average motorhome can cause dangerous sway and instability. 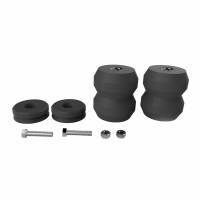 Timbren SES upgrades eliminate roll and sway, improve steering and create a safe-driving environment. 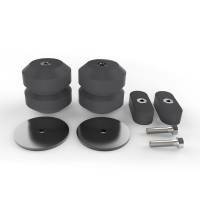 Want to gain better performance for your SUV? Timbren SES suspension upgrades provide both excellent ride quality and more stability even under the toughest loads. Active Off-Road Bumpstops help you take control of your suspension travel. They?re designed with a progressive spring rate that can absorb the energy created when they ?bottom out.? In other words, they allow for a smoother ride when they ?bump? down on the axle. 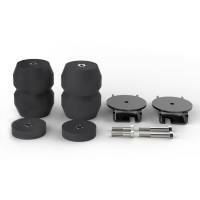 Take control of your suspension travel with a quiet & predictable package that?s easy to install. All of our steel brackets are laser-cut before they?re painted with a durable, long-lasting powder coat finish to ensure protection and long life. Rubber springs absorb the harsh ?jolt? upon impact. That?s why Active Off-Road Bumpstops deliver soft, smooth engagement with the axle. 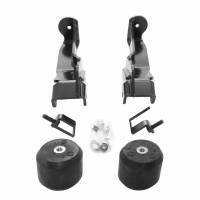 Timbren trailer suspensions are engineered to enable you and your cargo to go where you want to go. Whether you?re heading to the race track or going off-road, Timbren?s premium trailer suspensions are designed with you in mind. -STi air-ride trailerride trailer package ? designed as an independent suspension ? provides a soft, smooth ride. The Aeon® hollow rubber spring is the heart of a Timbren SES upgrade. 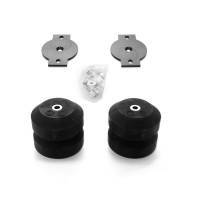 You will find a pair of Aeon® hollow rubber springs inside every Timbren SES kit. Timbren?s Aeon® springs provide a reliable alternative to metal and air springs. Aeon® springs have improved suspension performance both as a sole suspension and as a spring helper for over 40 years. We cut every Aeon® metal bushing on our state-of-the-art CNC machine. ?Aeon® Springs are stronger than steel, more reliable than air.? 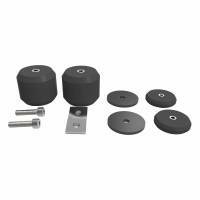 When space is limited or extra stability is required, fabricators choose the single convoluted rubber spring. Compared to double and triple convolutions, the single convoluted spring is characterized by its shorter deflection curve. This allows for less travel delivering a more aggressive load capacity. 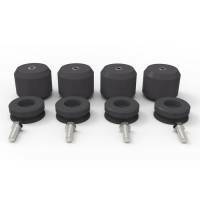 The double convoluted (round) rubber springs offer the widest selection of ride quality and load capacity. Because of their longer deflection curve, fabricators specify the taller double convoluted rubber springs that deliver a perfect balance of ride quality and load capacity. At Timbren Industries, size matters. The bigger (Class 8) vehicles require bigger springs. The North American trucking industry has relied on the rectangular springs to stabilize highway trucks and trailers for over 40 years.